Here, Mrs. Barizo discusses food chains and how different living and nonliving things interact in an ecosystem. 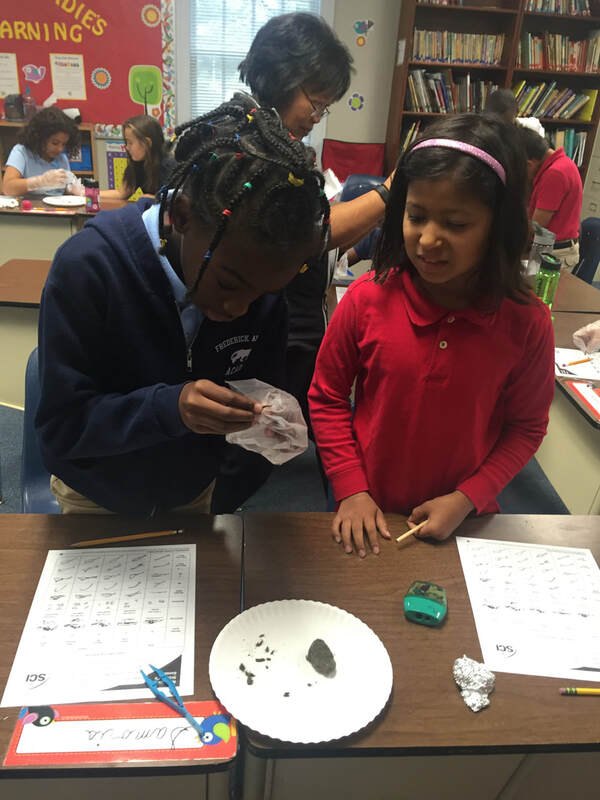 The students were thrilled to be able to dissect owl pellets, the undigested part of the owl's food. 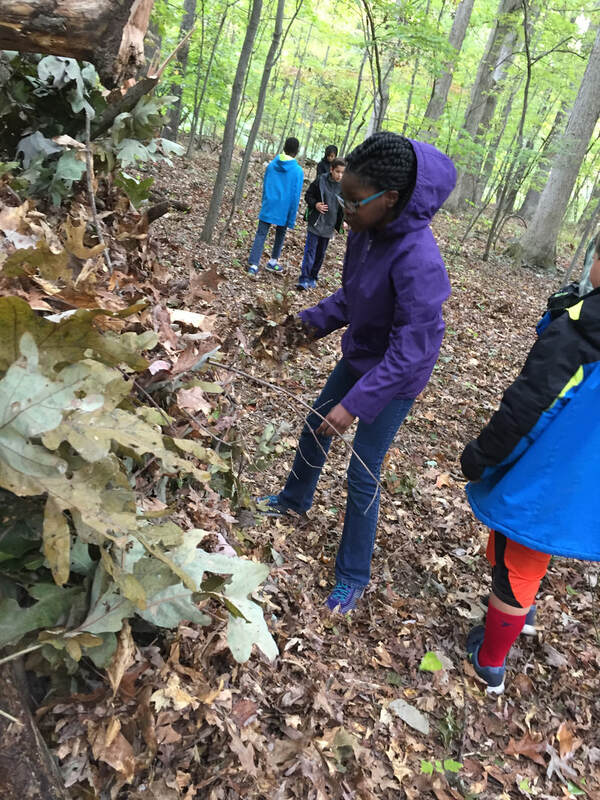 They were able to see what owls, who are at the top of their food chain, eat, by identifying bones, teeth, and lots of feathers!! 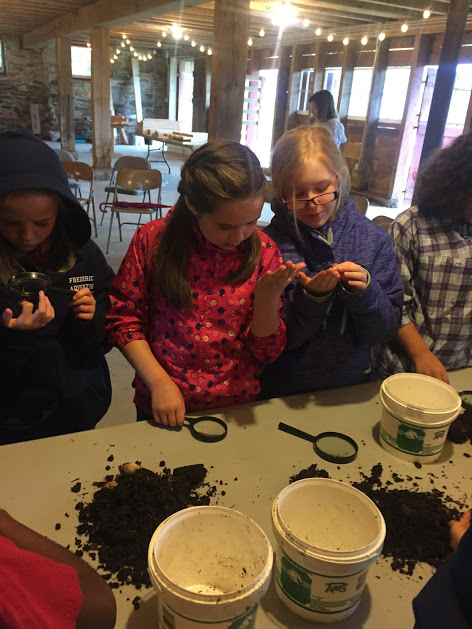 ​Fox Haven Farm staff gave our third and fourth grade students a lesson on composting, how it can reduce solid waste, and how they can start composting at school. Students also learned about the anatomy of red worms and how they help to break down the soil in a composting bin. 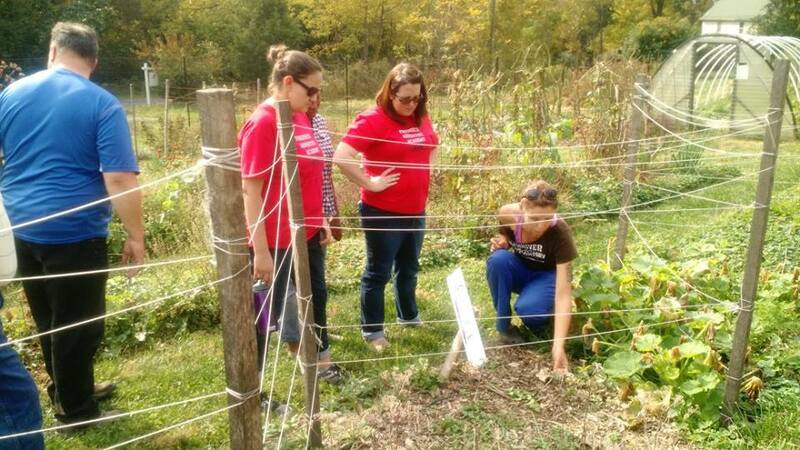 FAA teachers met with Joanne Coates and her team at Fox Haven Farm right down the road in Jefferson, MD. We learned about their production garden and about permaculture. Afterwards we participated in their composting 101 workshop to learn ways to implement composting at FAA. 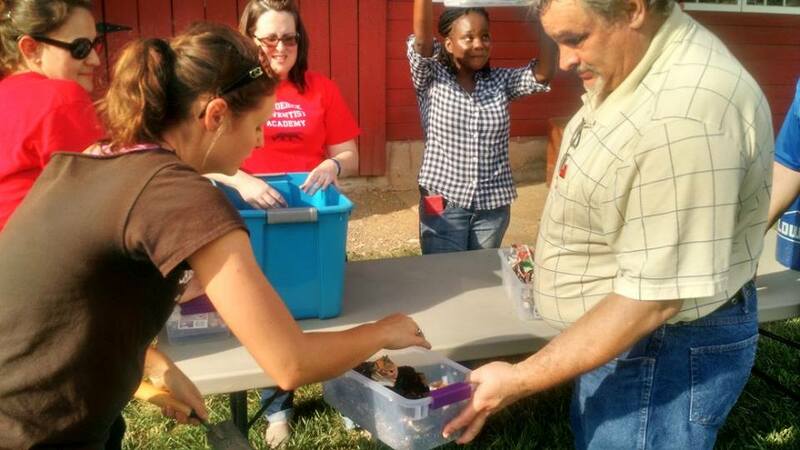 Teachers made worm bins to take back to their classrooms. We ended the afternoon brainstorming ideas on how to utilize what we learned at Fox Haven Farm and put it into practice. ​Each year, students from FAA visit Mt. Aetna Retreat Center. 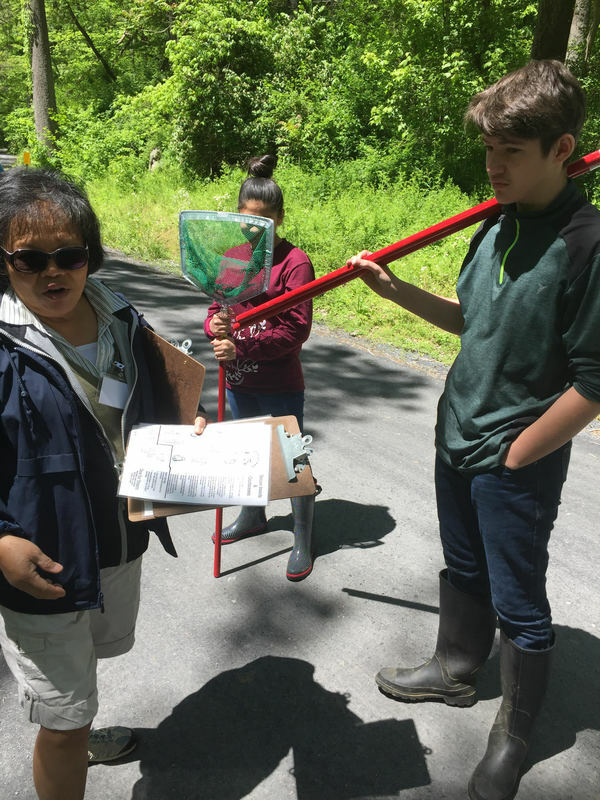 While there, middle school students learn about invasive species, help pull invasive species from the grounds, and planted native trees.